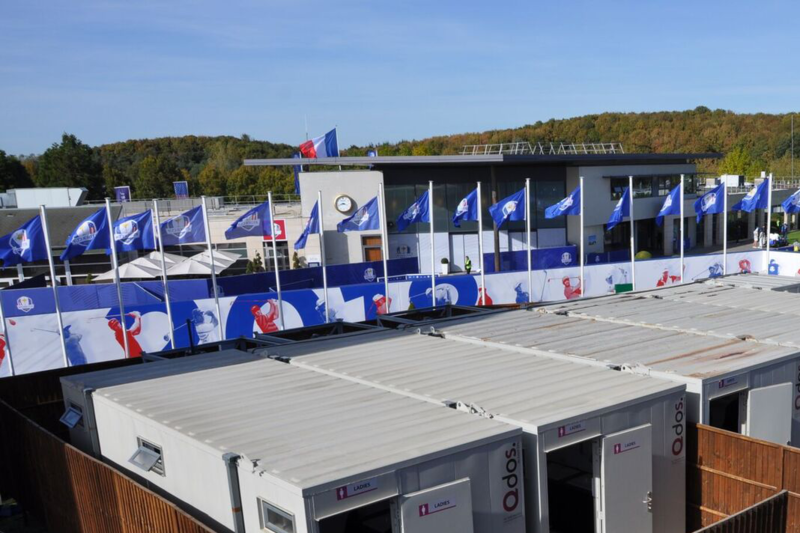 Qdos Event Hire is showcasing its new range of modular buildings, available for short and long-term hire, along with direct sales products at the Showman’s Show 2018. Held at Newbury Showground on 17th -18th October, the annual exhibition for the outdoor event industry provides the perfect platform to showcase the new additions to the company’s product range. The individual units have a 20ft x 8ft footprint which can be configured with other units to create larger open plan spaces. With the ability to double and triple stack the modules and fit internal or external staircases they deliver the ultimate flexible solution for any short or long-term hire project. Key features include category 2 lighting; upvc windows with a tilt and turn mechanism and secure roller shutters; double glazed patio doors; cable access holes, noticeboard and coat hooks; low level lifting eyes and plug and play electrics. In addition, Qdos Event Hire’s relationship with supply partner Containex provides direct sales options for clients who are looking to purchase, rather than hire. Included in the range are modular buildings, sanitary cabins, WC boxes and storage containers. To check out the range, including the units used at the Start line of the famous Hillclimb at Goodwood Festival of Speed and find out more about all of our products and services please visit stand 178, on the corner of Avenues B and Lew Spencer.